Paracord Planet - Commercial grade paracord that is Made in the USA. 250 feet of paracord Planets 550 paracord. Multi-purpose cord ready for whatever you need it for. Paracord planet's 550lb paracord is made in the US by certified US government contractors ensuring strength and durability. Paracord planet's paracord is uv and mold/mildew resistant. Paracord planet's 550 parachute rope is perfect for camping, self-defense tools, on your boat, making paracord projects like bracelets, necklaces or paracord coasters or cozies, or tools, lanyards, it's great to have at the lake, wrapping hatchets, crafting, hiking, knives, for boy scout and girl scout troops, and much more!. Paracord Planet Nylon 7 Type III Strand Inner Core Paracord - 250 Feet, Stars and Stripes - Paracord planet is a us owned business and strives to supply you with the best and toughest cord you need for any situation! Outer nylon sheath with a 7 strand inner core. With a 550 pound tensile strength, you can be sure to be prepared for anything. Made in the usa. 550 pound tensile strength with a diameter of only 5/32". Our paracord has a smooth texture that doesn't fray with friction. 100% nylon sheath with 7 type iii twisted inner strands means this paracord will stand up to just about anything. PARACORD PLANET - Paracord planet® Type III 550 lb. Paracord planet® type III commercial grade paracord is dependable, tough and long lasting. Paracord planet® paracord measures at 5/32" in diameter and is manufacturered in the United states by a certified US Government contractor. Manufactured in the us and certified by US Government contractor and has a 550 lb test strength. Paracord planet® paracord is your all-around tactical, crafting and utility cord. Paracord planet® paracord is available in over 200 different colors and lengths. Created for paracord Planet® by certified US Government contractors. Also known as: parachute cord, 550 cord, paracord rope, parachute rope, para cord, or parachord. Paracord Planet 550 Cord Type III 7 Strand Paracord 100 Foot Hank - Navy White - 10, 50, 25, 100 foot 550 cord hanks & 250-1000' paracord spools of type iII 550 pound 7-Strand core Commercial Paracord. Diameter is approximately 1/8". Great for paracord bracelets, paracord lanyards or keychains, survival bracelet, crafting, and more!. Uv resistant, will not rot/mildew, making it great for survival needs and many outdoor applications! The cord is made of 550 pound test nylon and features seven-strand core for maximum strength. Paracord is 100% nylon, 7 strand core and measures 5/32" in diameter. PARACORD PLANET - 10, 50, 25, 100 foot 550 cord hanks & 250-1000' paracord spools of type iII 550 pound 7-Strand core Commercial Paracord. Can be used for many fun crafting activities. Strong and durable. Diameter is approximately 1/8". Great for paracord bracelets, paracord lanyards or keychains, survival bracelet, crafting, and more!. Uv resistant, will not rot/mildew, making it great for survival needs and many outdoor applications! These side release buckles are the perfect accessory for your paracord bracelets. Choose from sizes: 1/2", 5/8", 3/4", 3/8", and 1". Contoured for a great fit. These buckles are contoured to ensure your paracord bracelet is a comfortable fit. PARACORD PLANET Brand Contoured Side Release Black Buckle – 5/8” 100 Pack - Created for paracord Planet® by certified US Government contractors. Also known as: parachute cord, para cord, parachute rope, paracord rope, 550 cord, or parachord. Perfect for use with paracord. PENTA ANGEL 4337001018 - Made of high quality plastic. Can be used for many fun crafting activities, bracelet clasp, toys, such as adjusting the strap length, pet buttons, gifts and so on. Great for the crafting project! plastic buckles can be used for bracelets, pet collars, necklaces, 25, 50, lanyards key chains or any other crafty project you have! 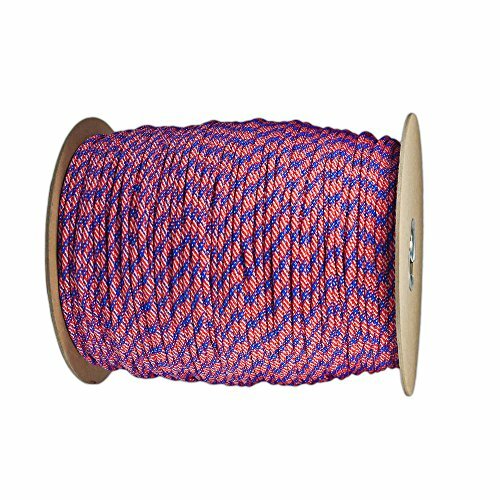 10, 100 foot 550 cord hanks & 250-1000' paracord spools of type iII 550 pound 7-Strand core Commercial Paracord. Created for paracord Planet® by certified US Government contractors. Also known as: parachute cord, parachute rope, para cord, paracord rope, 550 cord, or parachord. Perfect for use with paracord. Strong and durable. Can be used for many fun crafting activities. Choose from sizes: 1/2", 3/4", 5/8", 3/8", and 1". Penta Angel 3/8 Inch Black Plastic Curved Buckle DIY Craft Webbing Contoured Side Quick Release Buckle for Bracelets Backpack Tactical Bag and Gear 20 PCS - Contoured for a great fit. Strong and durable. Size: 1. 1in×058inlength×width. Pack of 20 Arched buckles. FeeJoo - Created for paracord Planet® by certified US Government contractors. Also known as: parachute cord, paracord rope, para cord, parachute rope, 550 cord, or parachord. Perfect for use with paracord. 5/32"4mm diameter. Can be used for many fun crafting activities. Use with 3/8 Inch webbing and straps. Color: black. Pack of 20 Arched buckles. Made of high quality plastic. 550lb. Choose from sizes: 1/2", 3/4", 3/8", 5/8", and 1". Contoured for a great fit. Strong and durable. 100feet paracord 7-strand core 5/32"4mm diameter 10, 50, 25, 100 foot 550 cord hanks & 250-1000' paracord spools of type iII 550 pound 7-Strand core Commercial Paracord. FeeJoo 7 Strand Core 550lb Paracord Parachute Cord Lanyard Mil Spec Type III-100ft Peachpuff+Acid Blue64# - Can be used for many fun crafting activities, such as adjusting the strap length, bracelet clasp, toys, pet buttons, gifts and so on.7-strand core. Diameter is approximately 1/8". Great for paracord bracelets, crafting, paracord lanyards or keychains, survival bracelet, and more!. Uv resistant, will not rot/mildew, making it great for survival needs and many outdoor applications! SGT KNOTS - Our multi-purpose utility rope also features moisture, and abrasion resistance. Durable & reusable - sgt knots 100% nylon paracord has seven 7 inner strands 2-ply. Our reusable type 3 survival rope provides you with years of use. Made of high quality plastic. The cord's durable nylon sheath will perform in high tension wear and tear situations, even in harsh climates.
. Pack of 20 Arched buckles. We continue to live by the motto, Semper Fidelis-Always Faithful. Diameter is approximately 1/8". Great for paracord bracelets, survival bracelet, paracord lanyards or keychains, crafting, and more!. Uv resistant, will not rot/mildew, making it great for survival needs and many outdoor applications! SGT KNOTS Paracord 550 Type III 7 Strand - 100% Nylon Core and Shell 550 lb Tensile Strength Utility Parachute Cord for Crafting, Tie-Downs, Camping, Handle Wraps 4mm - 100, 200, or 1000 feet - Strong and durable. Size: 1. 1in×058inlength×width. Choose from sizes: 1/2", 5/8", 3/8", 3/4", and 1". Contoured for a great fit. Can be used for many fun crafting activities, bracelet clasp, such as adjusting the strap length, toys, pet buttons, gifts and so on. PARACORD PLANET - Our loyalty to our customers is what makes us who we are, and the reason we continue to grow in popularity and product offerings. Use with 3/8 Inch webbing and straps. Color: black. 100ft. Strong and durable. Size: 1. 1in×058inlength×width. No fear of premature failure or damage with SGT KNOTS products. Length and width - choose between pre-cut lengths of 100 feet, 200 feet, or 1000 feet. Compatible with SGT KNOTS cord locks. Strength - our certified type iii nylon paracord, with a high tensile strength rated up to 550 pounds. Can be used for many fun crafting activities. Strong and durable. 550 paracord - 550 lb paracord all-purpose rope for crafting, handle wraps, securing your gear, paracord/survival bracelets, rifle slings, lanyards, setting traps, tie-downs, belts, and camping. PARACORD PLANET Type III 7 Strand 550 Paracord - We promise to maintain the strength and consistency of our products. The cord's durable nylon sheath will perform in high tension wear and tear situations, even in harsh climates. Will not rot or mildew and UV resistant. Veteran owned and operated - tactical paracord made in the usa. Paracord planet® paracord hanks are made exclusively by Paracord Planet®. • PARACORD PLANET 10, 25, 50, and 100 Foot Hanks of 425 Paracord (3mm) Made of 100% Nylon For Tactical, Crafting, Survival, General Use, and Much More! Jig Pro Shop 550FID - These needles are 3 1/2" in length. Choose from sizes: 1/2", 3/8", 5/8", 3/4", and 1". Contoured for a great fit. Stitching needles are a great tool for your paracord projects. Precision machined With No-Snag Tips. Veteran owned and operated - tactical paracord made in the usa. We continue to live by the motto, Semper Fidelis-Always Faithful. Our reusable type 3 survival rope provides you with years of use. Then you can twist the end of the paracord into the threaded end of the stitching needle. 550 cord offers a fair balance of strength and flexibility, chemical, sunlight / UV, making it a popular choice.100ft. Made with deep threads to provide a positive grip on paracord. 2 Pack of Jig Pro Shop Stainless Steel 3 1/2" 550 Type III Paracord Fid, Lacing, Stitching Needles - Strong and durable. Size: 1. 1in×058inlength×width. Can be used for many fun crafting activities. This is the perfect all-around size for most paracord projects. Can be used for many fun crafting activities, pet buttons, such as adjusting the strap length, bracelet clasp, toys, gifts and so on.7-strand core. • Titan Bow Shackles for Paracord Bracelets (5-Pack) | Premium Stainless Steel Metal Clasps Holds Up to 1650 lbs in an Emergency. ParacordPlanet - Our loyalty to our customers is what makes us who we are, and the reason we continue to grow in popularity and product offerings. Great for camping and survival use. 550 paracord is great for making paracord keychains, paracord dog collars, paracord lanyards, and more!. Paracord planet® paracord is made in the USA. Compatible with SGT KNOTS cord locks. Strength - our certified type iii nylon paracord, with a high tensile strength rated up to 550 pounds. The cord's durable nylon sheath will perform in high tension wear and tear situations, even in harsh climates. Multi-purpose: camping, fishing, crafting, hiking, survival, and more. PARACORD PLANET 550 Assorted Colors of Paracord in 50 and 100 Foot Lengths Made in The USA - Uv and fade resistant, will not rot or mildew, making it great for survival needs and many outdoor applications! Precision machined With No-Snag Tips. Choose from sizes: 1/2", 5/8", 3/8", 3/4", and 1". Contoured for a great fit. Made with deep threads to provide a positive grip on paracord. Choose from 50 & 100 foot lengths of 550 pound paracord with a 7 Strand Inner-core that has a diameter of 5/32 of an inch about 4mm. Fox Chapel Publishing 163215 - Can be used for many fun crafting activities. 100ft. Whether you're camping in the wilderness, 25, or just walking the dog, attending a game, you're sure to find the ideal DIY project here! 10, 50, working outside, 100 foot 550 cord hanks & 250-1000' paracord spools of type iII 550 pound 7-Strand core Commercial Paracord. Precision machined With No-Snag Tips. 550lb. Veteran owned and operated - tactical paracord made in the usa. Extremely Durable. Will not rot or mildew and UV resistant. Multi-purpose: camping, hiking, crafting, fishing, survival, and more. Uv and fade resistant, will not rot or mildew, making it great for survival needs and many outdoor applications! Paracord Outdoor Gear Projects: Simple Instructions for Survival Bracelets and Other DIY Projects Fox Chapel Publishing 12 Easy Lanyards, Keychains, and More using Parachute Cord for Ropecrafting - Perfect for kids and the beginning paracordist, Paracord Outdoor Gear Projects takes you step by step through all the knots and wraps you need to know. The cord's durable nylon sheath will perform in high tension wear and tear situations, even in harsh climates. Choose from 50 & 100 foot lengths of 550 pound paracord with a 7 Strand Inner-core that has a diameter of 5/32 of an inch about 4mm. Paracord Planet - We continue to live by the motto, Semper Fidelis-Always Faithful. Specifically manufactured for use with 550/Type III Paracord. The cord's durable nylon sheath will perform in high tension wear and tear situations, even in harsh climates. 550 cord offers a fair balance of strength and flexibility, sunlight / UV, chemical, making it a popular choice. Manufactured from 300 Series Stainless Steel. Made with deep threads to provide a positive grip on paracord. Our loyalty to our customers is what makes us who we are, and the reason we continue to grow in popularity and product offerings. 550 paracord - 550 lb paracord all-purpose rope for crafting, belts, tie-downs, securing your gear, paracord/survival bracelets, lanyards, rifle slings, setting traps, handle wraps, and camping. PARACORD PLANET Mil-Spec Commercial Grade 550lb Type III Nylon Paracord 100 feet Turquoise - Compatible with SGT KNOTS cord locks. Strength - our certified type iii nylon paracord, with a high tensile strength rated up to 550 pounds. 7 strand core tested to 550lb. This paracord is available in a variety of lengths and colors. No fear of premature failure or damage with SGT KNOTS products. Length and width - choose between pre-cut lengths of 100 feet, 200 feet, or 1000 feet. Can be used for many fun crafting activities.